Miss Matisse: That is so interesting! I like the fact that you’ve read stories and have thought about how you could make them better, plus the fact that you really delve deep and get creative which I highly respect! Creativity is something that comes naturally to certain people and this is what leads me to my next question… What would you say has inspired/motivated you to do what you do in everyday life both personally and professionally? Digger Cartwright: I want to do the best job I can at whatever I do. I really enjoy what I do in terms of business and writing, so perhaps it’s self gratification that motivates me along with a desire to give back to worthwhile causes and bring some entertainment to others’ lives. There’s nothing like the satisfaction of a job well done. I work hard to make each book I write something interesting and unique that the readers can enjoy. Of course, some people like some of my books better than others. A lot of readers really dislike Murder at the Ocean Forest; they find it long and drawn out and difficult to read. It was done that way deliberately. Some readers like the fast pace of The Versailles Conspiracy. A lot of people don’t like the ending of The House of Dark Shadows. Surprisingly, most people like The Maywarings: A Game of Chance, in part I think because there aren’t many westerns anymore. Overwhelmingly, Conversations on the Bench has been most readers’ favorite. There’s something in that book that everyone can relate to. At the end of the day, whether they love a particular book or hate it, they agree that it’s well written and reflective of my desire to produce quality books. I could turn out ten books a year that are all crap or marginal or I can produce one or two per year that are outstanding. To me quality is more important than quantity. It’s really satisfying that readers appreciate the hard work that goes into each of my books to paint a picture for the reader of the setting and the people. If I can bring a smile to someone’s face or help them escape from the reality of everyday life for a little while by getting lost in one of my books, I think I’ve done something special for them. Perhaps more important than this is the ability to give back and help causes that are near and dear to my heart. When you’ve been fortunate in life to enjoy a degree of success, it’s always good to give back. I’m always trying to find ways to help charities and promote their work. If my business and writing enable me to make a contribution to a local no-kill shelter that saves a homeless animal and feeds it and cares for it until it finds a forever home, I’ve made a difference. Miss Matisse: Hello Digger, so…first things first, what an awesome name you have! Would you mind telling our readers a little about yourself and how you became a writer? 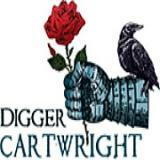 Digger Cartwright: I’m a businessman and entrepreneur first, and in the process of starting and running businesses I’ve had to do a great deal of writing over the years. Predominantly, it’s been in the form of business plans or research reports or articles for trade publications. Over the years I also did a lot of letter writing to politicians to give my commentaries on issues effecting America, business or the economy. 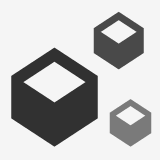 I’ve done a lot of writing of commentaries for think tanks, like ThinkingOutsideTheBoxe.com, but it’s more along the lines of presenting a case and offering interpretations and solutions. I think what really got me started writing was that I didn’t like the ending of a particular book so I set about to write the ending that I liked. There were some short stories along the way and teleplays before I decided to make the plunge into my first novel. I actually wrote The Versailles Conspiracy first as a quasi screenplay/novel. After that I didn’t do much for a couple of years until I got the idea for Murder at the Ocean Forest, which became the first novel I actually published. I’ve always been very creative, ever since I was a child, and I’ve liked to be the storyteller at times, so perhaps there’s always been the writer in me. I’ve always been an avid reader, so there has always been part of me that said I can do that or I can write a better story than that. Some say I have a flair for dramatics. So overall, writing is a good fit for me. I’ll let the readers be the judge of that. Interview by Mdluchies: How did you get your start as a writer? Interview by Mdluchies: How can people find out more about the book and your writing? DC: The book is available online at Amazon.com and Barnes & Noble. We have a website for the book itself, ConversationsOnTheBench.com. You can find a lot more information about this book, my other books, and me at my own website, DiggerCartwright.com. I also want people to know that I will be donating a portion of the sales price from all sales my website to the Sebastian G. Perey Endowed Memorial Scholarship at Coastal Carolina University through the end of this year. It’s a good scholarship that helps deserving economics students, so you’re getting a good book and helping make a difference through the scholarship. Interview by Mdluchies: Who was the book written for and what do you hope that the reader will take away from the book? DC: The book is written for just about anyone. It doesn’t matter how old you are. It doesn’t matter if you’re rich or poor, white or black, young or old, a CEO or a blue collar worker. There is something in this book for everyone. I don’t think anyone can read this book and not take something away from it. Sebastian’s lessons speak to everyone, and I think anyone can relate to something he has to say. I’ve actually had people tell me that they read the book and it’s as if Sebastian is talking directly to them. They’ve currently got a similar situation or they had a similar situation, so they say they can relate to what he’s saying. I hope readers take away a few things from the book. I want people to be inspired by Sebastian’s personal story. He overcame a lot in his life. He didn’t let his disability keep him down. He looked out for his friends, and most importantly, he made a difference to a lot of people in the world. I want readers to take away some of the lessons he offered in the conversations he had. They’re nothing earth shattering. They’re nothing really ground breaking, but they’re all things that wise people learn through life experiences. People like Sebastian take the time to analyze situations and take something away from each situation. They take time to reflect on life and things that have happened. They take time to share this with other people to help make a difference in their lives. I want people to take away an awareness for people around them and hopefully to treasure someone like Sebastian that they may know. I would hope that people would take away a sense of inspiration that they too can make a difference in someone’s life. Interview by Mdluchies: Conversations on the Bench is inspired by actual events. How much of the book comes from real life experiences? DC: A good deal of the book is factually based. Once I decided that I had to tell Sebastian’s story, I spent several years, off and on, having conversations with Robbie who recounted a lot of the conversations he had had with Sebastian over the years. On occasion he had tremendous detail about the time, place, and events surrounding the conversations. I understand that he kept detailed notes about things he felt were important. Now there were a lot of gaps in his memory and his notes from time to time, so I had to fill in the blanks and create the scenes. What I tried to do was get a whole chronology from the time he met Sebastian until the time we started writing the book. I had him give me significant events, people in their lives, people who they had encountered at various places, and so on and so forth. What I did was try to fit everything together so I didn’t have to make things up. I did have to make a few people so that the story flowed and made sense, and I did have to alter a few situations so that other people could more easily relate. But it’s important to keep in mind that all of Sebastian’s lessons as discussed in the book were the actual lessons that Sebastian shared with Robbie. The presentation of those lessons may have been dramatized when needed or when there was insufficient information about the circumstances surrounding the conversations Robbie and Sebastian had, but the lessons themselves are Sebastian’s lessons and anecdotes.